Do you live in Lexington, Kentucky and suspect that you are experiencing foundation issues? Cracked drywall, a sinking house or bowing walls can be signs of issues with your foundation. United Structural Systems Ltd., Inc in Lexington, Kentucky provides quality foundation repair, waterproofing and wall realignment for your home and business. 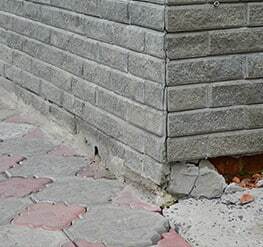 Our professional team of foundation repair is experienced and dedicated to finding you a solution for your foundation. At United Structural Systems we understand that having foundation issues can be stressful, which is why our team will gladly walk you through each step of the foundation repair process and explain to you what is going on. We will ensure that everyone is on the same page. Our Lexington, Kentucky team is committed to a high level of service for each of our clients. We will bend over backwards to make sure you understand the current state of your foundation, as well as letting you know if our services are necessary. If they are, we will tell you what you are getting, from scheduling a free estimate to project completion. No foundation is the same! Let our certified and experienced team handle your unique foundation problem. For more information about our services and products, contact us at our Lexington, Kentucky location at 859-548-2684. How did you hear about USS? Vertical Movement (Settlement): Foundation Cracks, Cracked Brick, Slab Dropping, Floor Sinking, etc. Lateral Movement (Shifting): Walls Bowing, Leaning, Shearing, etc. Waterproofing (Water) Wet Basement, Leaking Walls, Moisture in Crawlspaces, etc.